On 7th, 8th and 9th of April, Greet Cassiers and Ernst Knijff, gave training on ‘Gestalt Process Therapy Training’. The training was aimed for psychotherapists, counsellors, and those in the care industry. For more information, here is the interview with Ernst knijff. Q: I would like to start with the first question, what is Gestalt Therapy?? A: What it is?? Hmm…It is the part of the Humanistic Psychology. The bases of the Gestalt therapy foundation is the Awareness, the experiment, the experiences,..all of these are the bases of Gestalt therapy. Q: Who developed it sir? A: Fritz Perls and his wife and Paul Goodman and many other people. But founder is Fritz Perls. He was German Jews. He studied and worked as Gestalt Psychologist. Q: When was this therapy started? Q: What is the special feature of Gestalt therapy that distinguishes it from other form of therapies? A: As I said in the beginning that it is based on the training of awareness and the belief that when people become aware- how and what they are doing, they are able to respond so that they can become responsible. Q: Okay, so we have studied that Gestalt therapy is related to perception so according to the point of Gestalt theory, is it our perception that is more responsible to our problems? A: Oh, yes it is also the solution of the problem. Awareness is a way of perceiving. So ofcourse, we can have wrong perception of reality and if i can train my awareness i can change the wrong perceptions. Q: Sir, this theory widely used in Europe and UK and I believe this is not much in practiced in Nepal. How do you find the differences or the use of Gestalt therapy in context of Nepal? A: Well, of course it is the product of west. Not only Europe and America, in Latin America also it is widely used. And of course we have to deal with the difference of culture. But our aim is not to introduce the western culture via Gestalt therapy but to help the people to find their own way of dealing with it because the basic of Gestalt therapy is word contacting. And the different culture has different way of contacting. 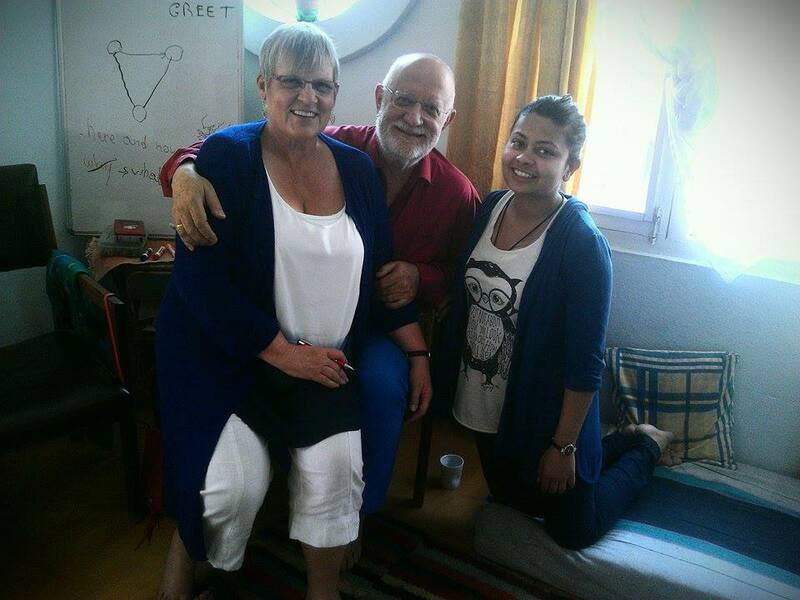 So the Nepali Gestalt therapies have to find and build their own way how to integrate gestalt therapy into their culture. Q: Does that bring Conceptual differences? A: Yes, Every culture has different way of perception.